I can’t say enough good things about this girl. Inside and out, Blaire is one of a kind. I met her for the first time at her bridal session, along with both of her parents, and all three of them were so incredibly kind and warm. 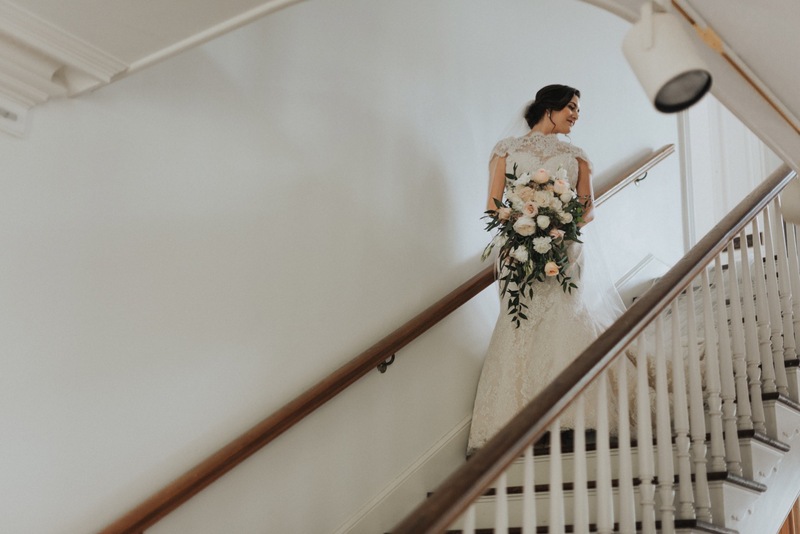 Blaire was to have her wedding at the Paul and Lulu Hilliard Art Museum and A Hays Townhouse here in town, so it was only fitting to do her bridal session there as well. Blaire was stunning in her dress, and her dress was incredible as well, complete with her great-grandmothers broach on the bow in the back. We utilized all the beautiful window light we could get our hands on in the A Hays Townhouse and I was getting all giddy inside when I saw Blaire standing so elegantly in the beautiful light. She rocked it for her session and I’m so happy to share these after their super fun wedding.